Discovery Communications is becoming the new European broadcaster of the Olympic Games. In a $1.45 billion deal announced Monday, Discovery's Eurosport channels will televise the 2018, 2020, 2022, and 2024 games on television and on the Internet. When it comes to the Olympics, Discovery will effectively become the NBC of Europe -- the sole rights-holder for the games. "We have the chance to do broadcast and to do cable and to bring the games to phones and devices," Discovery CEO David Zaslav said in a telephone interview from Lausanne, Switzerland, home of the International Olympic Committee. The European rights to the Olympics are currently split up, country by country, across Europe. Discovery said the deal marks the first time the IOC has sold all the European rights to a single media company. Thomas Bach, the president of the IOC, said, "Discovery and Eurosport have demonstrated a major commitment to the Olympic Games, to Olympic sports and to the future of the Olympic Movement." Zaslav said Discovery sought out the IOC after Bach expressed interest in establishing an Olympics channel. "We went right to the IOC and said our vision was that the Olympic flame would burn 365 days a year," he said. Monday's agreement includes a partnership to develop such a channel for Europe. Zaslav's Discovery Communications (DISCA), a media company best known in the United States for channels like TLC, Animal Planet and its flagship Discovery channel, has been growing rapidly in other countries and has been seeking more sports programming. It took control of Eurosport last year. Media companies have found that sports, particularly live events, are hugely valuable in an age of ad-skipping and on-demand viewing. The Olympics are one of the best examples of this. The winter and summer games are indelible events, instantly recognized around the world. That's partly why NBCUniversal pays billions of dollars for the rights to air the games in the U.S. Last year, the network agreed to pay $7.75 billion to extend its contract from 2022 to 2032. Eurosport is available in about 130 million households across the continent via a combination of satellite, cable and Internet connections. Monday's deal is another sign of the gradual shift of Olympic programming away from broadcast television, which is free over the public airwaves, and toward subscription services. Zaslav emphasized Internet streaming and said that owning the Olympics rights "could really help our direct-to-consumer strategy and our mobile strategy." But, as is the case with NBC in the U.S., many key Olympic events will still be available over the public airwaves in Europe. 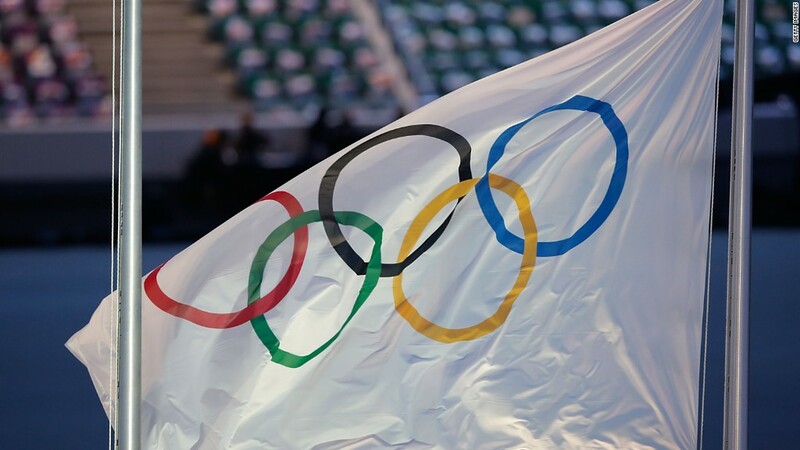 "Consistent with IOC and local market requirements, Discovery has committed to broadcast a minimum of 200 hours of the Olympic Games and 100 hours of the Olympic Winter Games on free-to-air television during the Games period," a press release stated. "Discovery will sub-license a portion of the rights in many markets across Europe." In most of Europe, from Spain to Sweden, Albania to Ukraine, Discovery's Olympic deal will take effect in 2018. But the TV rights in France and the United Kingdom were already sold through 2020, so the deals there will start in 2022. Monday's news was seen as a blow to the BBC, which has been broadcasting the Olympics in the U.K. for decades. It's possible that Discovery will sub-license some of the rights to the BBC and others. "We do look forward to a discussion," Zaslav said, adding, "We have great respect for the BBC and the German and French programmers."